CIDADE. (Hernâni) OS GRANDES PORTUGUESES. Ref: 1902PG034 MACHADO. (General Joaquim José) ARQUIVO PESSOAL. MANUSCRITO - SÉC. XVIII - CARTA DE PRIVILÉGIO A ANDRE MORONE HOMEM DE RESPEITO DEL REI BRITANICO PARA PASSAR NAS ALFÂNDEGAS PORTUGUESAS SEM PAGAMENTO DE DIREITOS SOBRE VINHO, MANTIMENTOS E ALFAIAS. Ref: 1901JC005 HUGHES. 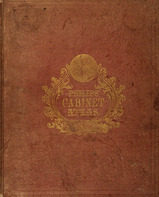 (William) PHILIPS CABINET ATLAS Of Modern Geography. Ref: 1812PG045 CATECISMO DA IGREJA CATÓLICA. Ref: 1812PG047 MISCELÂNEA DE ESTUDOS EM HONRA DO PROF. HERNÂNI CIDADE.